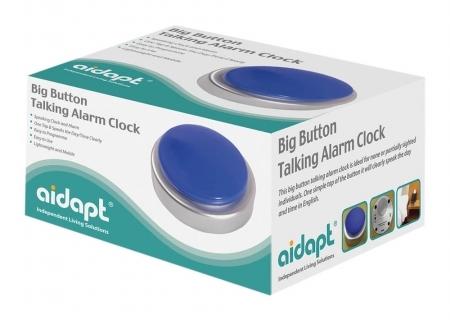 This Aidapt big button talking alarm clock is ideal for non or partially sighted individuals. Simply tap the button and it will clearly speak the day and time in English. 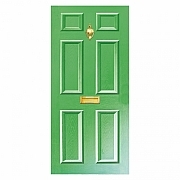 It is easy to programme as the clock will speak the numbers clearly while you set the date, time & alarms. Powered by 3 x AAA Batteries (Not Included). One Tap & Speaks the Day/Time Clearly.